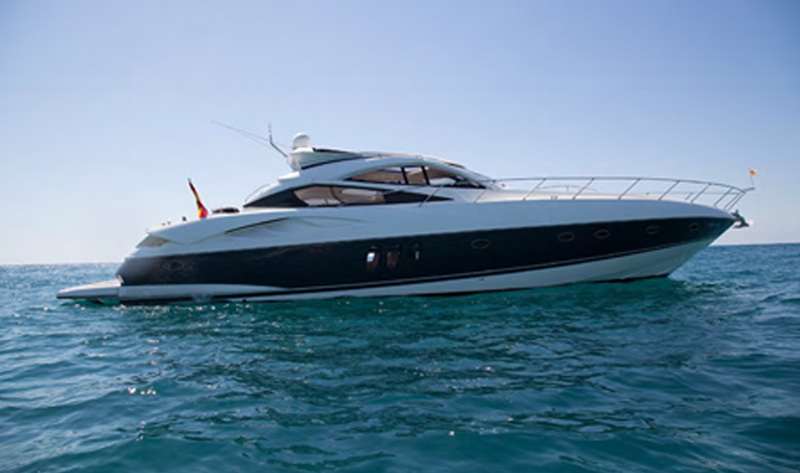 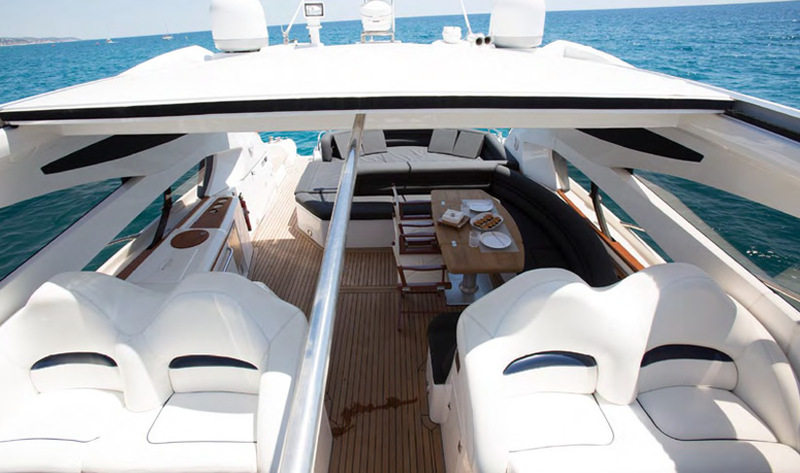 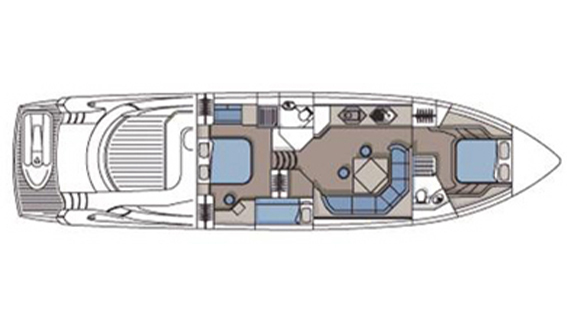 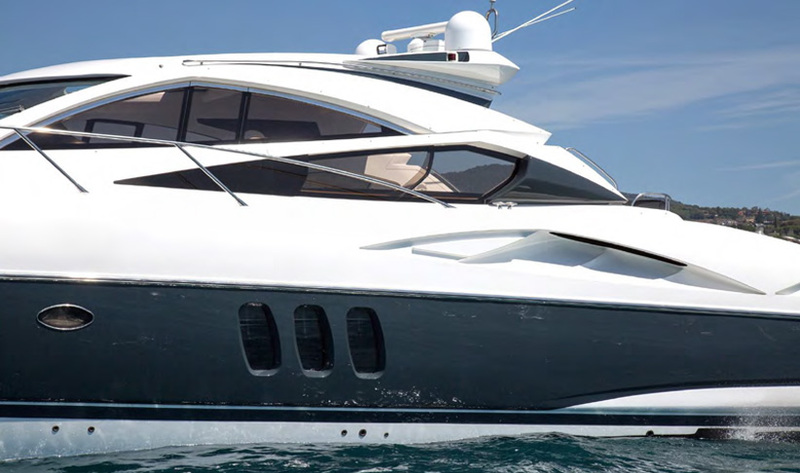 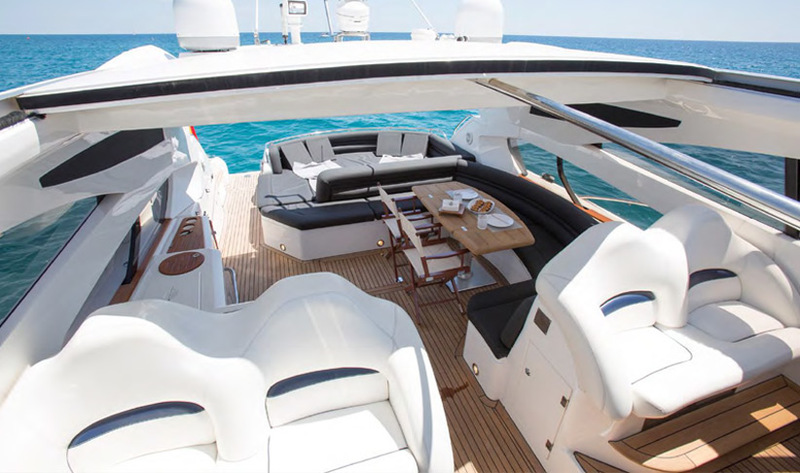 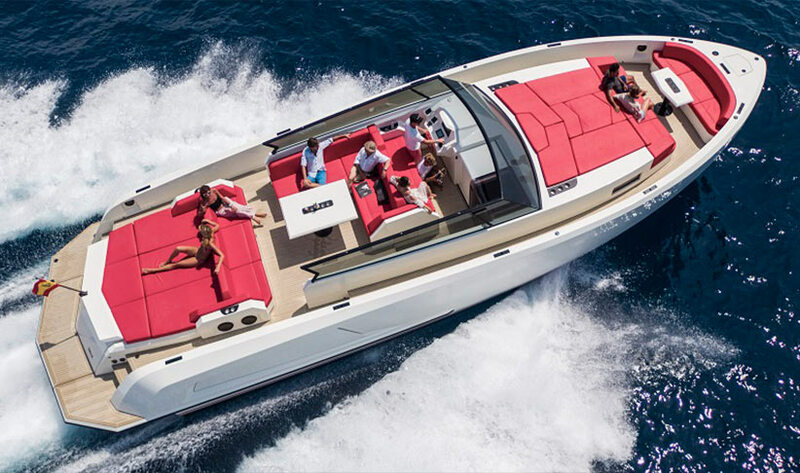 Available for charter in Ibiza and Balearic Islands, this Predator 68 is a sporty hard top, 21 meter open yacht. 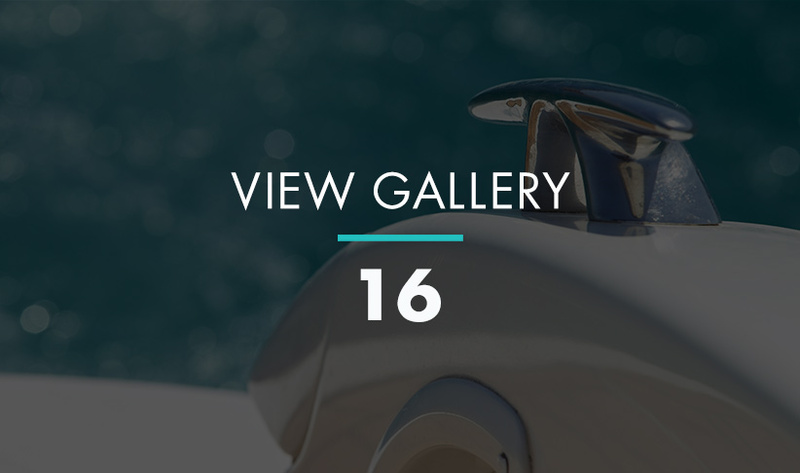 With the complete refit in 2016 this yacht feels brand new. 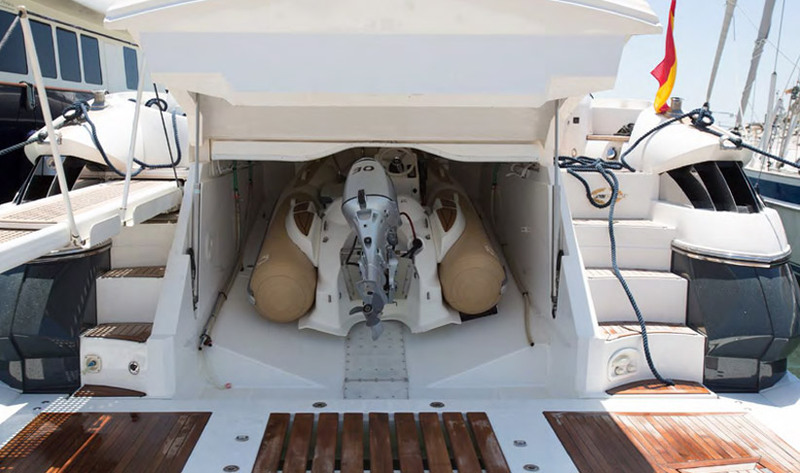 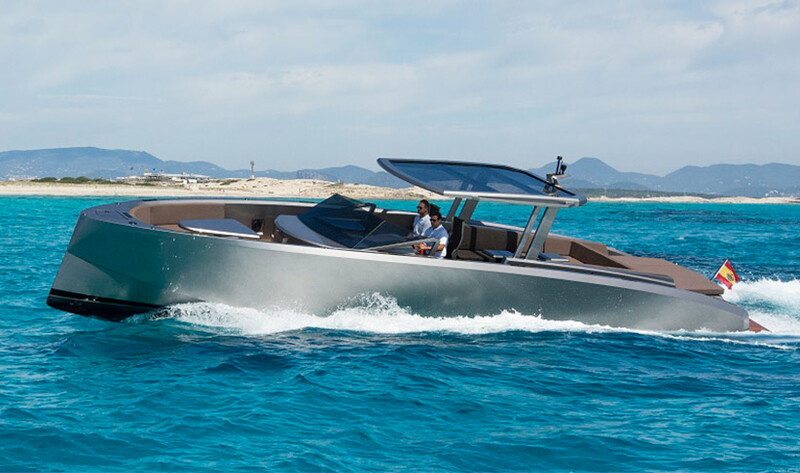 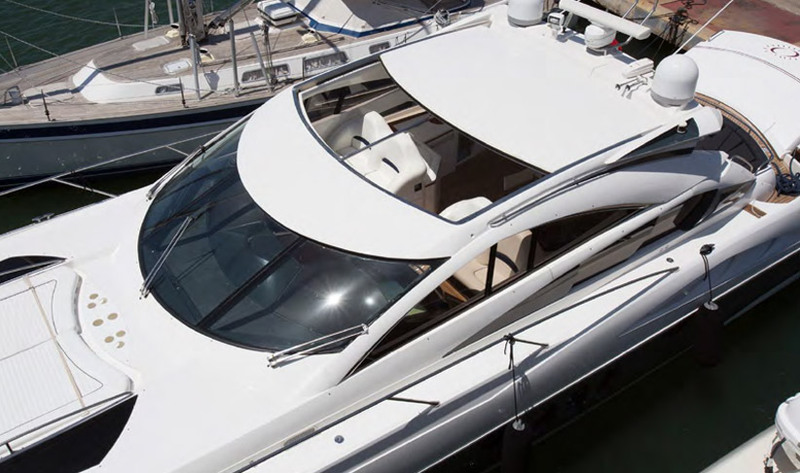 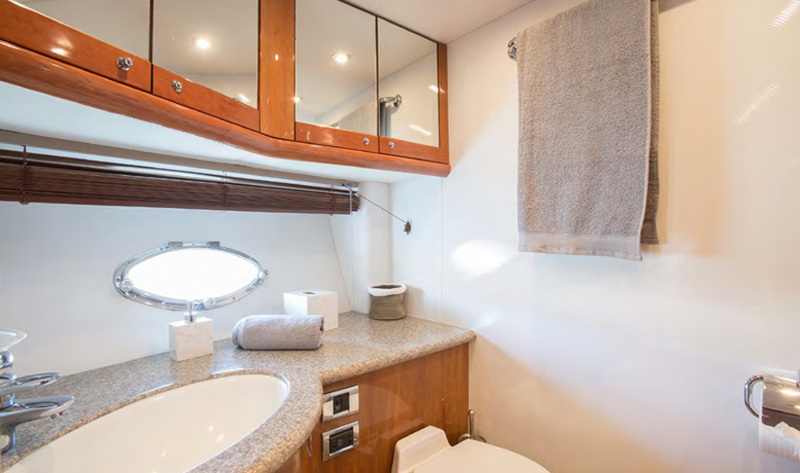 The exterior has been designed without doors or barriers to enhance the sense of space and create a relaxing atmosphere that runs through all areas of the boat. 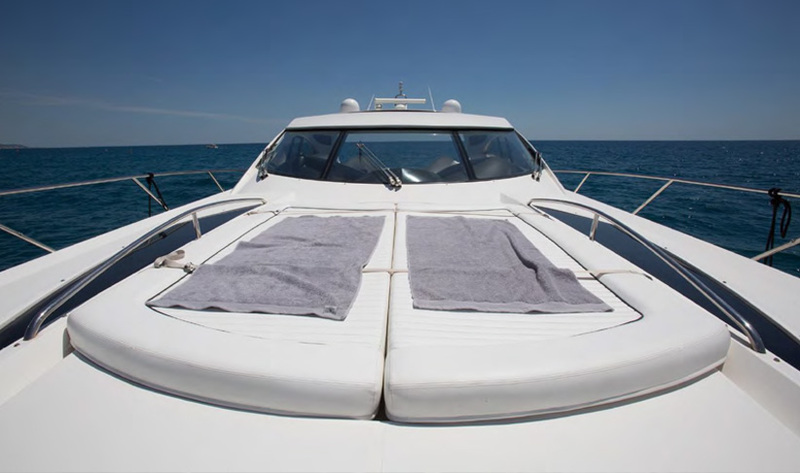 The dark fabrics used are of a special material that does not absorb heat, making it very pleasant even on very hot days with lots of sunlight. 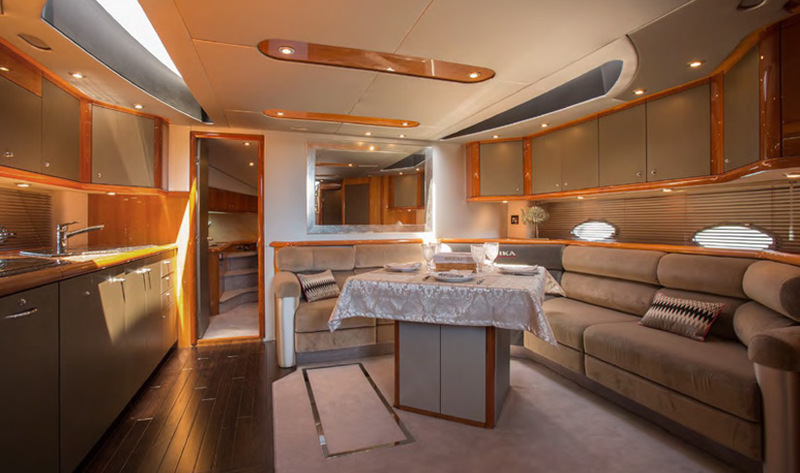 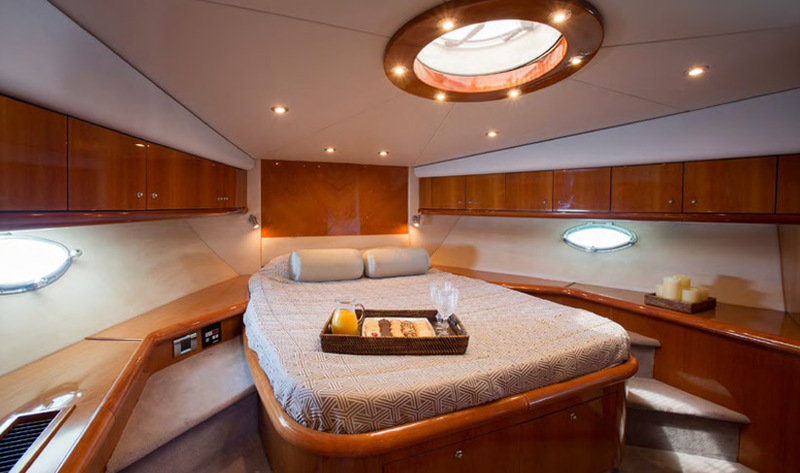 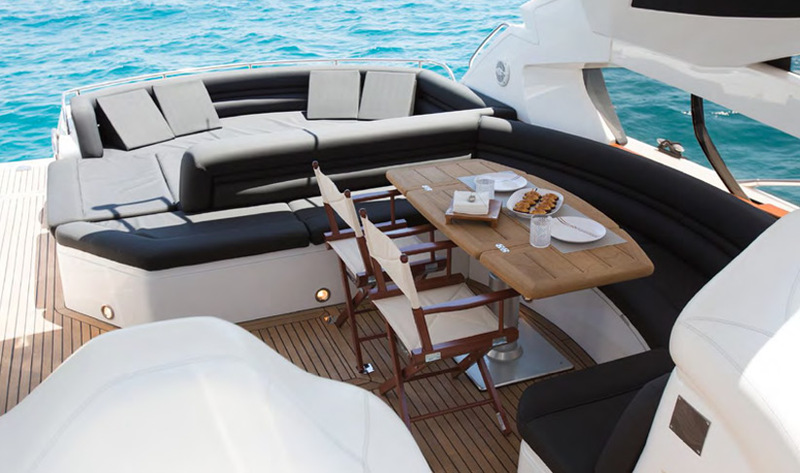 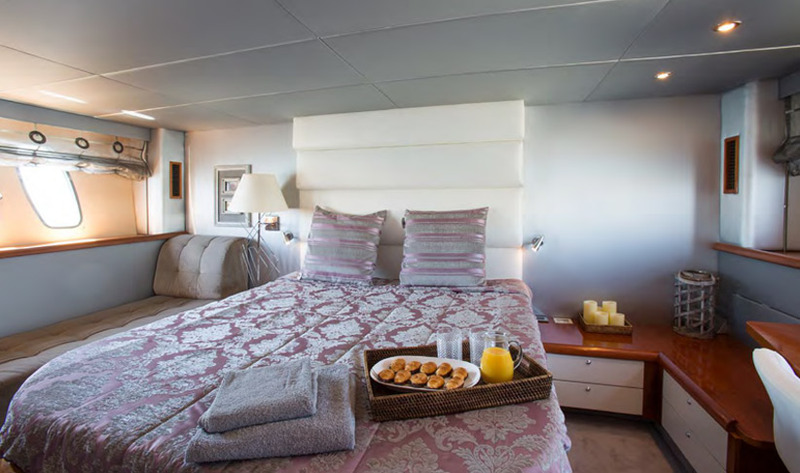 Accommodating 12 guests during the day and 6 guests overnight in 3 luxury cabins, the Predator 68 is perfect for a day charter but also extremely comfortable for a full week. 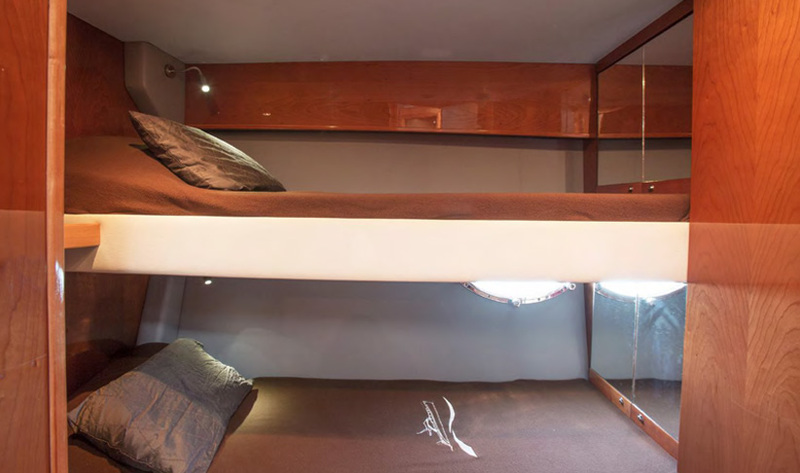 She has a wide range of toys including a tender, wakeboard, water skis, donut, paddle surf and snorkelling gear for 6 people. 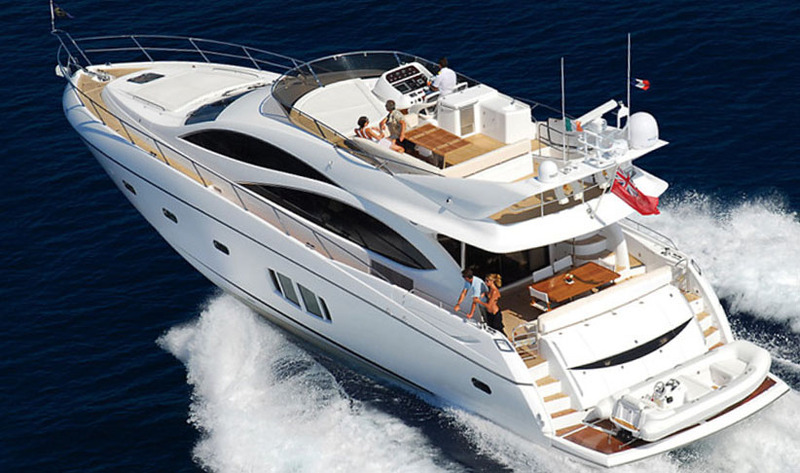 The full time crew consisting of a captain and a stewardess will ensure you have a memorable experience on board. 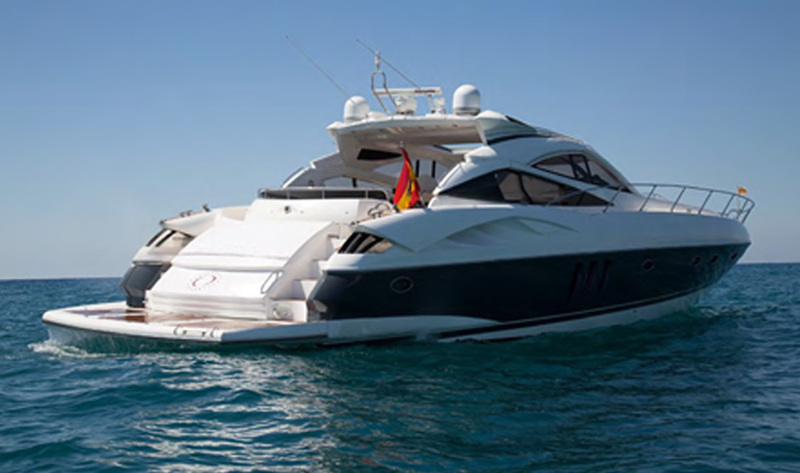 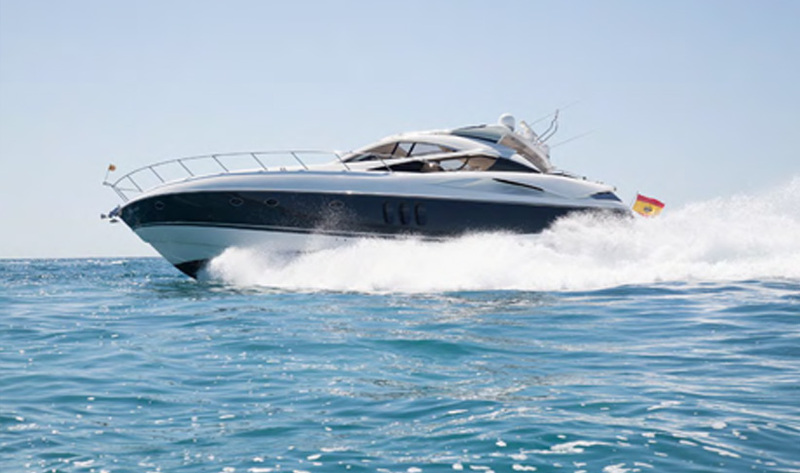 Contemporary design and sportiness are distinguishing features of this yacht and with her powerful engines she can easily reach a speed of 40 knots, making her an ideal motorboat to charter and the perfect place to enjoy your holiday in Ibiza.